Iceland Highlands and Hidden Gems – The Great Canadian Travel Co.
New for summer 2019 with lower prices! A small-group adventure in Iceland’s highlands with a focus on wilderness landscapes, relaxation, cultural discoveries and good food. There are lots of opportunities for easy nature hikes and plenty of time for bathing in natural hot springs. Prices are shown in US$ per person based on two people sharing a twin room and one person in a single room. Triple rooms are not available on this tour. Arrive at Keflavik airport and transfer to Reykjavik (not included), with a full day to explore the city. There are many great museums, art galleries and attractions in this northern most capital of the world. You can enjoy wandering around the city center, hopping into a local cafe, galleries or shops or exploring one of the many interesting museum the city has to offer. Dinner is on your own, so use the opportunity and discover great Icelandic cuisine, renowned for its fresh and natural ingredients and based on Scandinavian influences. You’ll enjoy discovering the wide range of restaurant choices, both gourmet and casual. Breakfast at your hotel. Meet your guide in the hotel lobby and start your journey! 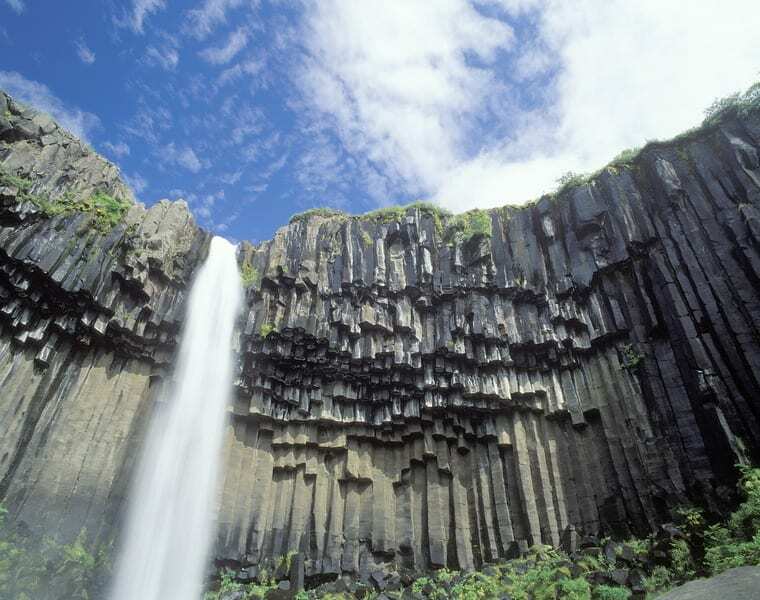 Today you’ll get an excellent insight into Iceland’s famous geology! 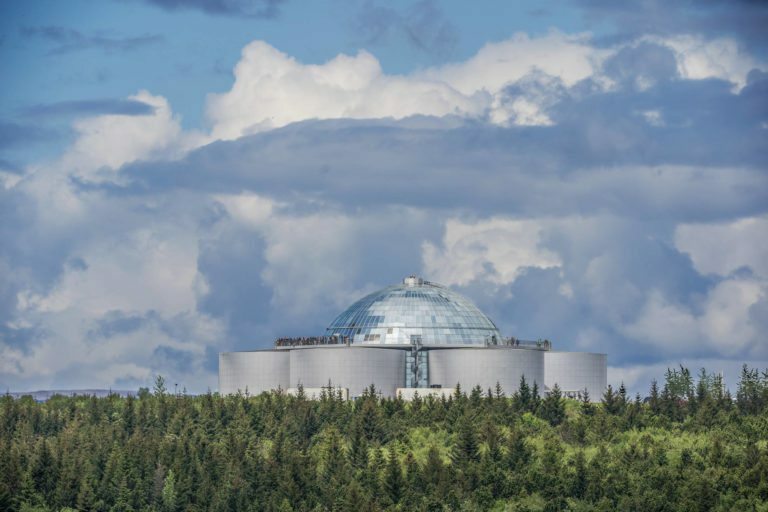 But first start with a.short orientation tour of Reykjavik city, including at the Pearl or Perlan Wonders of Iceland 360°Observation Deck for a panoramic view over the city. Continue to the Reykjanes Peninsula. This area was recently designated a UNESCO GeoPark because of its fascinating geological features, many which are geothermal, The Mid-Atlantic Ridge that divides the European and North American tectonic plates runs through here and has been a huge influence on Iceland’s landscape. Admire the lunar like landscapes around Lake Kleifarvatn, the bubbling mud pools and hissing steam vents at Krysuvik geothermal area, and the waves of the North Atlantic crashing on the shores by Reykjanesviti lighthouse. Next you’ll see another place impacted by the Mid-Atlantic Ridge: Thingvellir National Park. You can actually see the Ridge here and even walk between two continents. 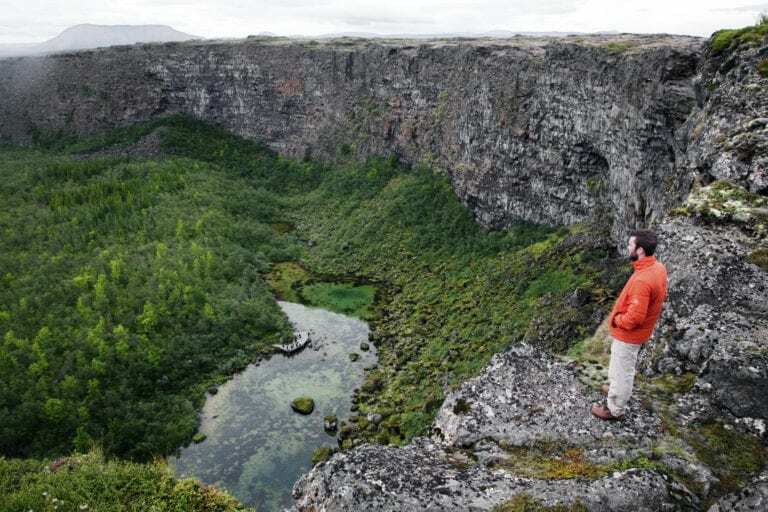 The Mid-Atlantic Ridge, along with shield volcanoes and rugged lava fields make Thingvellir every geology buff’s dream site. In addition, Thingvellir is important to Iceland’s history: this was where Viking settlers founded an annual meeting, an event that would eventually become the world’s oldest and longest running national Parliament. An interesting walking path leads you along places where important historical events took place at Thingvellir. The day ends in Hveragerdi, a pretty town set amid a huge hot spring field. The locals have cleverly used the hot springs for cooking, heating and even growing flowers in geothermal greenhouses. You’ll get to enjoy some of those hot spring benefits at your hotel’s swimming pool and hot tubs. Breakfast at your hotel. Visit the intriguing Geysir geothermal site, where the ground sizzles with bubbling hot springs wherever you look, including the impressive Strokkur hot springs spouting water high into the air every few minutes. Nearby enjoy the beauty of Golden Waterfall or Gullfoss, Iceland’s most beloved waterfall. Then it’s time to leave “civilization” as you continue into the untamed highland wilderness via the Kjolur highland track. This is a famous trail created by Icelandic Vikings that they used to travel between the north and south. Please note this in an unpaved track, so the route can be bumpy, but it also is part of the adventure and wilderness experience! Uninhabited black sand landscapes and endless panoramic views between two glaciers give you a feeling of being all alone in the world. You can easily see why this trail was the inspiration of many a ghost story. During your highland journey you’ll stop at Hveravellir oasis, a surreal, beautiful site. Here you can bathe in a natural stone-lined hot spring, a true wilderness pleasure. The trail ends in the north of Iceland, with its green fields of grazing horses and scenic mountains. Drive to Akureyri, the lively “capital of the North”. 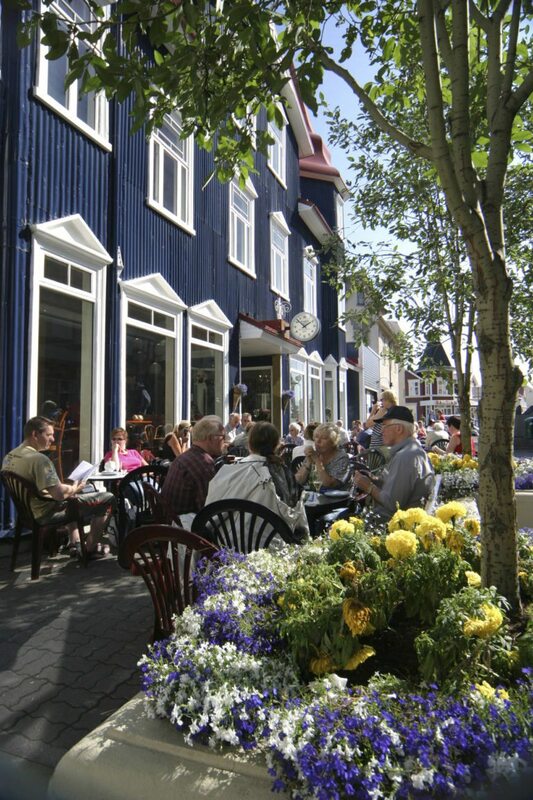 This is surely one of Iceland’s prettiest towns with its colourful wooden buildings. Even though it is only a short distance from the Arctic Circle, it is one of Iceland’s greenest towns and has a beautiful outdoor botanical garden. Dinner is on your own, and you’ll surely enjoy discovering the choice of great restaurants and cafes. Optional: Midnight Sun Whale-Watching tour from Akureyri harbour to look for whales such as dolphins, minke whales and humpback whales. Breakfast at your hotel. Today you’ll discover one of the jewels of North Iceland, the amazing Myvatn Nature reserve. Myvatn is world famous, both as a geological wonderland and as a great place to view birds. Most recently, Myvatn has also become known as the filming locations for Game of Thrones, Fast and Furious 8 and Rogue One: A Star Wars Story. Just like Reykjanes and Thingvellir, the Mid-Atlantic Ridge comes through here as well, making Myvatn one of Iceland’s most volcanically-active areas. The lake attracts many species of birds, both from North America and Europe. It is especially a popular place for water birds. 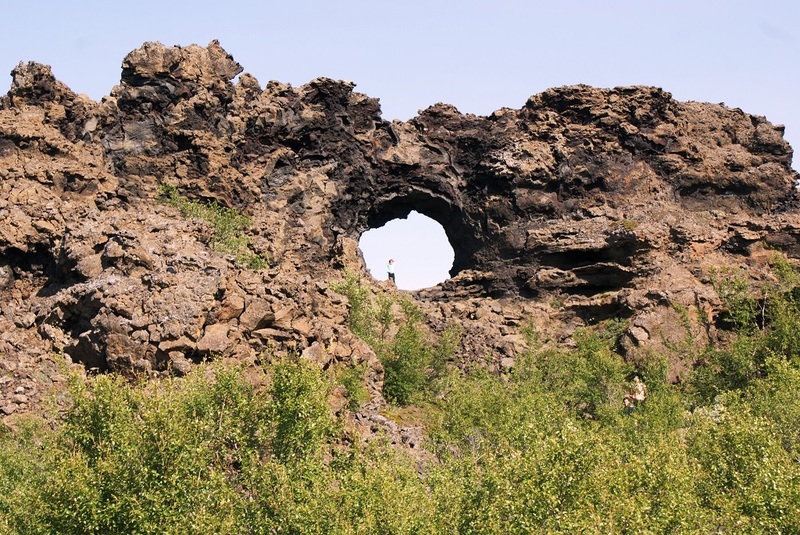 Myvatn has several really good and mostly easy walking trails that put you front and centre of unusual volcanic features. Places you’ll visit include the strange lava formations of Dimmuborgir, the brightly-coloured steaming geothermal area of Hverarond and the bizarre pseudo craters of Skutustadir. Rising above the entire area is Krafla, the volcano whose powerful underground activity helps fuel a geothermal power station. It is suggested you bring a mosquito/fly head net for use today, as there are harmless midges around Lake Myvatn, which some people find bothersome. Breakfast at your hotel. Today you’ll be visiting the northern part of Vatnajokull National Park, the largest of its kind in Western Europe. The park covers about 14% of Iceland’s landscape. Depart Myvatn, heading to the fossil-rich Tjornes peninsula, located at on the edge of the Arctic Circle. Visit the charming, bustling town of Husavik. A lovely bathing experience awaits you at the brand new Geo Sea Baths. The spa harnesses geothermal seawater for mineral rich baths. Let the warm seawater work its wonders on your skin and joints as you enjoy the view towards the Arctic Circle. After your refreshing bath, head along the rugged Tjornes peninsula to the northern entrance of Vatnajokull National Park. This part of the park is known for its impressive canyons sculpted by raging floods from the Jokulsargljufur glacial river. 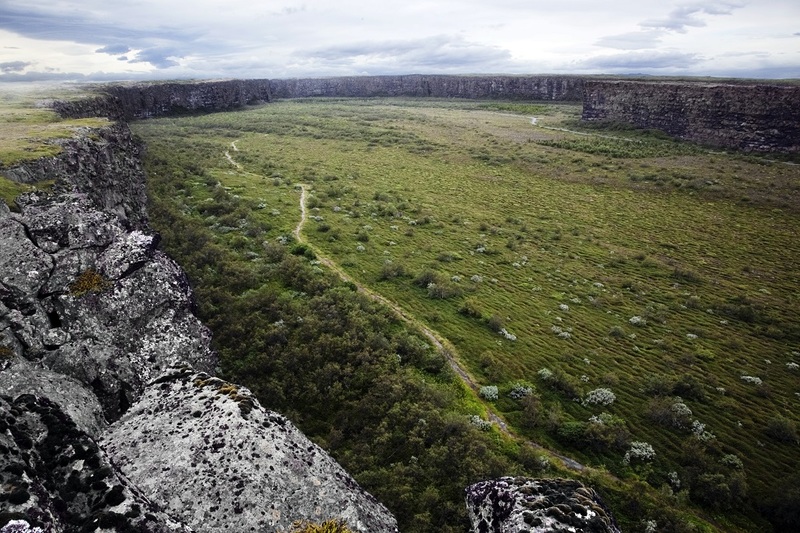 One of the most famous canyons is horseshoe-shaped Asbyrgi. According to Norse mythology, the canyon is the hoof-print left by Sleipnir, the magical eight-legged horse of the god Odin. Easy walking trails here lead through peaceful forests to a beautiful canyon lake. You’ll also see bizarre rock formations such as the Echoing Rocks. The crown jewel of the day will surely be Dettisfoss, Europe’s most powerful waterfall. Return to magical Lake Myvatn for a second night. Breakfast at your hotel. Today you’ll delve into one of Iceland’s most beautiful and authentic places: the mysterious east. Start with a different view of the highland wilderness as you head across the starkly beautiful highlands of Modrudalsoræfi. This is the part of Iceland where wild reindeer herds roam free on unspoiled heaths. As you descend from the highlands, you’ll see the milky-white Lagarfljot glacial lake, the doorway to East Iceland. According to legend, the lake is home to an ancient monster called the Lagarfljot serpent – Iceland’s very own version of the Loch Ness monster! Spend the afternoon discovering the many scenic secrets located around the area. First on the agenda is a visit to a historic farm hidden in a remote valley. This farm is the absolute last settlement; just beyond the farm the unspoiled highland wilderness stretches into the horizon. The farm’s owners, a film-maker and a historian, have turned the area into the Wilderness Center, a unique interactive exhibition where you’ll step into the past and discover the Icelandic people’s struggle for survival over the centuries in this harsh region. East Iceland is now emerging as one of the country’s best areas for farm produce, game, herbs and berries and seafood. Enjoy an authentic locally-sourced East Icelandic lunch as you sit in the Wilderness Center’s farmhouse kitchen. You’ll get a feel for Icelandic farm life in the olden days. In the afternoon, visit Hallormsstadaskogur, Iceland’s largest forest and the country’s first reforestation project. It makes a welcome change from the stark beauty of the highlands. The final stop of the day is at Egilsstadir,one of Iceland’s youngest and fastest growing towns. Enjoy the evening experiencing the peaceful small town atmosphere. Dinner and overnight in the Egilsstadir area. Breakfast at your hotel. The road takes you southward, winding along the majestic East Fjords, where tiny fishing villages nestle under ancient mountains. Visit Djupivogur, a scenic bustling village en route to the southern entrance of Vatnajokull National Park. Throughout the day you’ll see the massive glacier that is the park’s namesake. Vatnajokull is the largest glacier in Europe and truly dominates the South East corner of Iceland. No visit to this part of Iceland is complete without a stop at the world- famous Jokulsarlon glacier where icebergs float in the melted waters of Vatnajokull Glacier. This is a great area to photograph, and you might even catch a glimpse of a few seals lounging on the ice. You’ll get closer to the icebergs on a boat tour, a very unique experience! Next you’ll enter southern Vatnajokull National Park, most famous for its Skaftafell area. Once part of an ancient manor farm,Skaftafell is now a green wilderness oasis of birch wood surrounded by volcanoes and glaciers. It lies at the foot of Iceland’s highest peak, Hvannadalshnjukur. Pass over a vast black sand plain, Skeidararsandur. This was created by sands washed from glaciers that melted in volcanic eruptions. It’s a testament to the constant clashes between fire and ice in this region. Dinner and overnight in Kirkjubæjarklaustur area. Breakfast at your hotel. This morning you’ll cross the scenic moss-covered Eldhraun lava field (created in the famous Laki eruption in 1783-1784). This is the largest single lava flow in recorded history. The eruption led to a cooler climate and crop failures in Iceland and much of Western Europe. It may have even led indirectly to the French Revolution! Head into the mountains by the gorgeous highland track Fjallabak. While the mountain track will be bumpy, you’ll also enjoy spectacular views of neon green moss fields, volcanic fissures and black sand desert. The goal is Landamannalaugar nature reserve, a true pearl of the highlands with multi-coloured rhyolite mountains that are simply amazing. 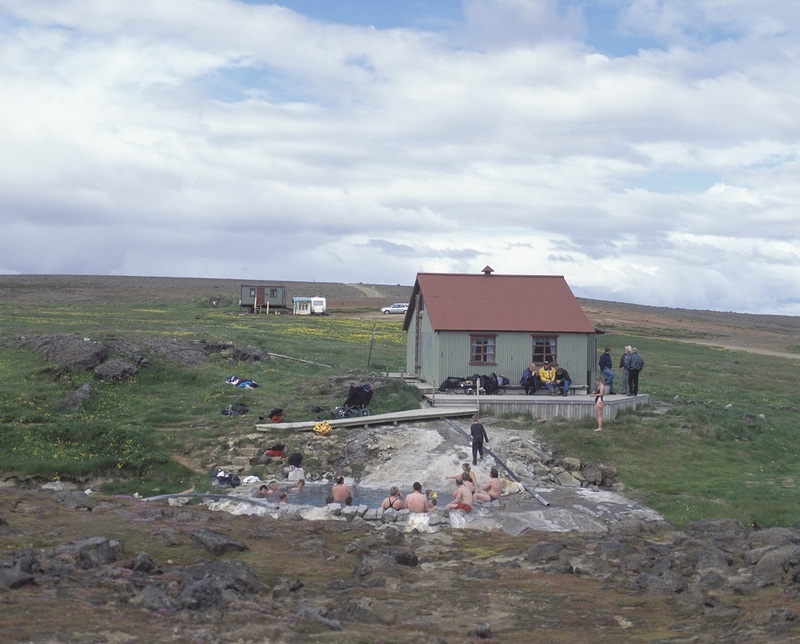 You’ll certainly enjoy relaxing in Landmannalaugar’s hot spring fed natural pool surrounded by peaceful mountains. At the end of the afternoon, head into South Iceland, passing by the legendary Hekla Volcano, one of the most frequently erupting in Iceland. (Last eruption was in 2000). This scenic part of South Iceland is a favourite area for Icelanders from Reykjavik to stay in summer cottages on long weekends or summer holidays. The area is also one of Iceland’s main farming regions. You will be overnighting is in Hvolsvollur, a town that provides services and activities for farm families in the area. Breakfast at your hotel. This morning is dedicated to the discovery of Iceland’s South Shore. Drive through scenic farmlands framed by high mountains, passing by the infamous Eyjafjallajokull. This glacier-capped volcano erupted in 2010, and its ash cloud, impacting air traffic around the world. 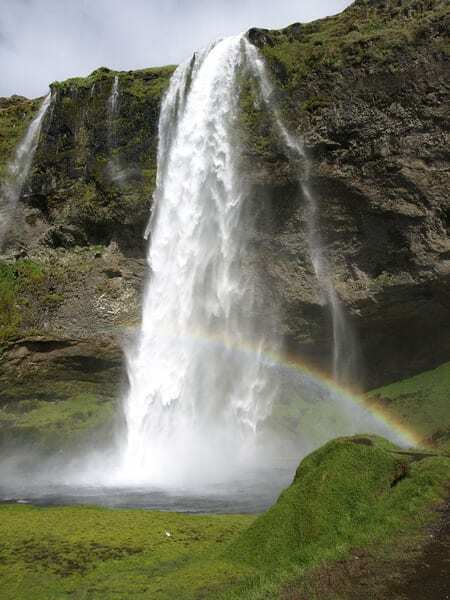 You’ll take in the impressive Seljalandsfoss waterfall which thunders down from Eyjafjallajokull glacier. Depending on trail conditions you can actually walk behind the waterfall. Nearby is the Skogafoss waterfall, one of Iceland’s most photographed waterfalls. The waterfalls also hides a very interesting secret. Visit Iceland’s southernmost village, Vík. It is on the edge of the Reynisfjara black sand beach. You can truly witness the power of nature here, where gigantic North Atlantic waves crash onto the beach. Keep your eyes out for the basalt columns rising out of the sea—there is a legend that they were once two trolls. After exploring the South Shore the road leads back to Reykjavik where the tour ends. Dinner is on your own, and the evening is open for you to enjoy your last night in the Land of Fire and Ice. The final morning in Reykjavik is free. After breakfast explore the city, do some shopping or take an early whale watching tour. You can purchase a standard transfer or upgrade your transfer to include a stop at the famous Blue Lagoon before heading to Keflavik for your return flight home.